For the white-tailed ptarmigan, alpine willow is life. This ground nesting, smallest of North American grouse and master of camouflage, lives its entire lifecycle above timberline. 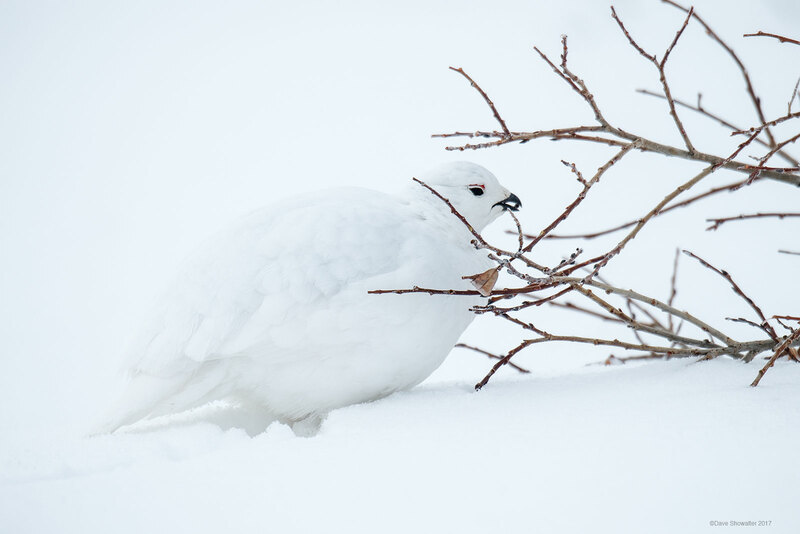 To survive, even thrive in harsh winter conditions, ptarmigan eat tiny willow buds almost exclusively and gain weight through winter. The all white male, save for his red eye patch and black eye and beak, will molt in June. He'll spend summer blending in with talus rocks high in the Rockies. Photo © copyright by Dave Showalter.